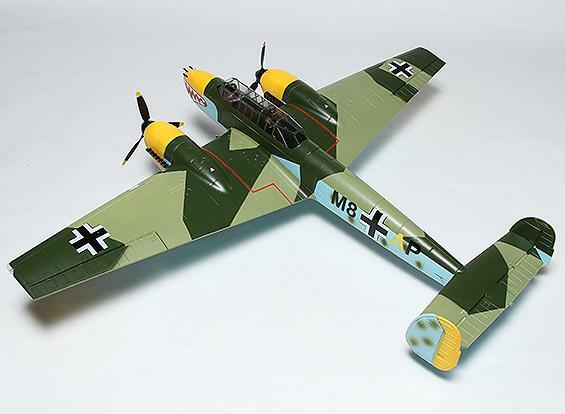 Add this beautifully designed, twin engine Messerschmitt to your RC hangar. 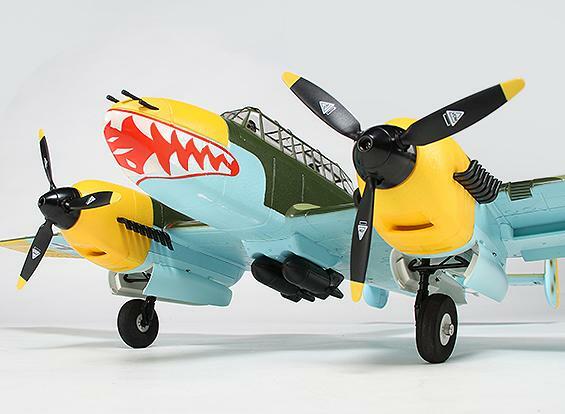 Fly her at your field and cast an intimidating silhouette of the “Zerostoer” against the sky. 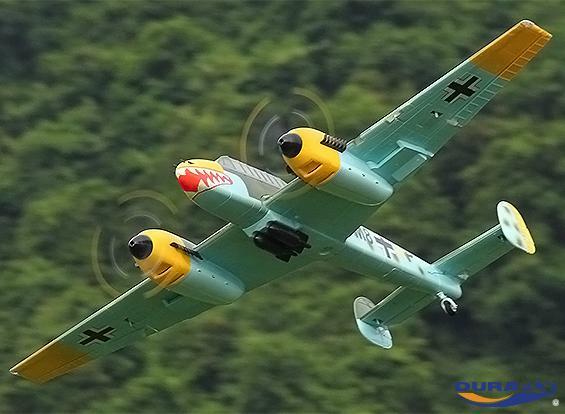 She’s got the famous Durafly "sure and steady" flight characteristics as well as their amazing attention to detail. Be sure to add a Supermax reinforcement kit (that’s the only way we sell these babies) to protect all of the delicate foam areas and keep her looking and flying at top performance. Comes with servos, powerful 1350kv motors, 20A ESC’s, nav lights, and metal trunnion electronic retracts — all pre-installed. You’re gonna love the mechanically squenced gear doors, dual servo rudder system and steerable tail wheel. 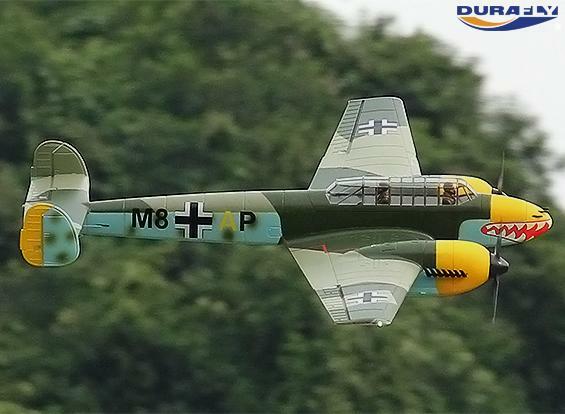 You’ll notice the Bf110 is slightly bigger than the other Durafly warbirds. 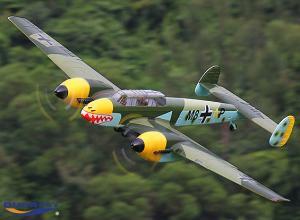 She has a wingspan of 1200mm to keep her scale with her contemporaries. She’s spec’ed for a 2200mAh 3s Li-Po, but we recommend a 2600mAh with the reinforcement kit. It fits beautifully, balances well and performs great. Steve is particularly pleased with how well the reinforcement kit for this particular airframe. See for yourself in the video below.